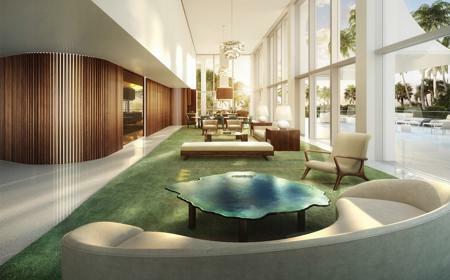 Jade Signature is founded on the firm conviction that the space we occupy should be molded around us, not the other way around. 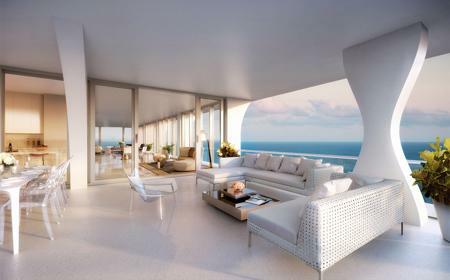 Unlike the standard approach of creating a seductive exterior and then filling in the interior, Jade Signature has been designed from the inside out. By assembling the most talented team of international architects and designers, and by having a clear understanding of how people really want to live within such a unique beachside location, Fortune International Group has been able to create a place that people will love to live in. 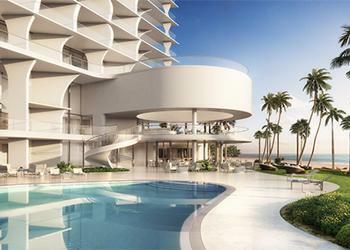 The design of each residence is devoted to the magic of inside/outside living. 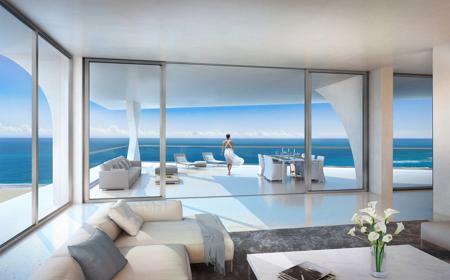 Every level of this elegantly tapering tower has lofty floor-to-ceiling windows that frame the Atlantic and Intracoastal horizons. 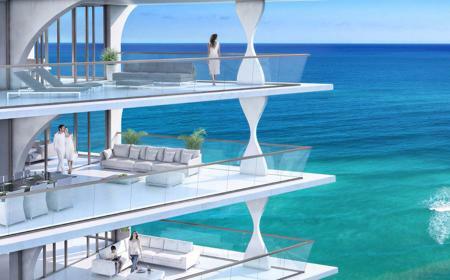 This inspiring connection with sea and sky is enhanced by large open interiors, uninterrupted by internal columns, and special non-reflective, visually unobtrusive glass walls. The residences’ extra large, sun-shaded terraces can be accessed via sliding windows, which make every room a dynamic, highly adaptable space. The quality of thought in the design is matched by the quality of the interior finishes. 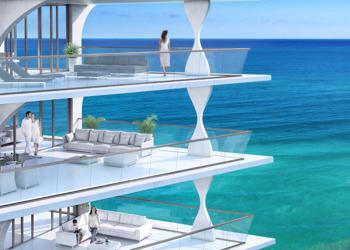 All of these special features make each contemporary house in the sky a grand statement in luxury beachfront living. 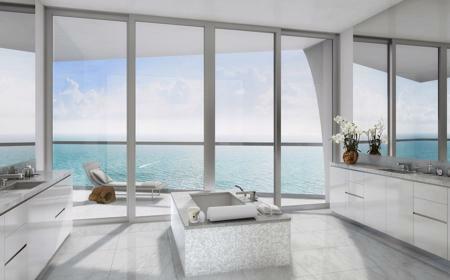 Each Jade Signature residence is perfectly attuned to its natural surroundings and magical, flow-through views. The gently curved columns, the spacious open-plans, and their ideally configured layouts, all create an abiding feeling of harmony, peace and pleasure. The range and quality of the residences make them places that families, couples or singles will want to call home. The penthouse is palatial both in its size and its range of rooms and amenities. Set within vast 12-foot-high ceilings, are five bedrooms (convertible to seven), nine and a half bathrooms, a double-sized master sitting room and living room, three family rooms, a breakfast area, a library and much more. The amenities are just heavenly: a gym, a bar, a private elevator and service quarters, all surrounded by a 360-degree wraparound balcony and an oceanfront terrace with its own large, private pool. Encompassing the entire 56th floor and partial 57th, this is an extremely grand, very luxurious and utterly remarkable residence.